Information You Voluntarily Submit to the Website: We may collect personal information from you such as your name, address, or email address. This could happen when you leave a comment on a blog post, enter a giveaway or subscribing to our newsletter. If you upload images to the website, you should avoid uploading images with embedded location data (EXIF GPS) included since other visitors to the website can download and extract any location data from images on the website. Avatars Prior to May 22, 2018 our site allowed avatars for comments. An avatar is an image that follows you from website to website that appears beside your name when you comment on sites that allow avatars. We no longer permit avatars on Always the Holidays, since they can potentially identify the person who comments. Information We Collect from Others: We may receive information about you from other sources. The Website utilizes the social sharing buttons which may link to your accounts on the various social media platforms. We may share your information with third parties only when you explicitly authorize us to share your information. Google Analytics – this service tracks Website usage and provides information such as referring websites and user actions on the Website. Google Analytics does not capture your IP address or any other personal information, since we have it set to anonymize data to prevent that from happening. At this time, your personal information is not shared with any other third-party applications. This list may be revised from time to time at the Website’s sole discretion. Except when required by law, we will not sell, distribute, or reveal your email addresses or other personal information without your consent. Our website may contain links to other websites that we feel will be of interest to you. However, once you have used these links to leave our site, you should note that we do not have any control over that other website. Therefore, we cannot be responsible for the protection and privacy of any information which you provide while visiting such sites and such sites are not governed by our privacy statement. 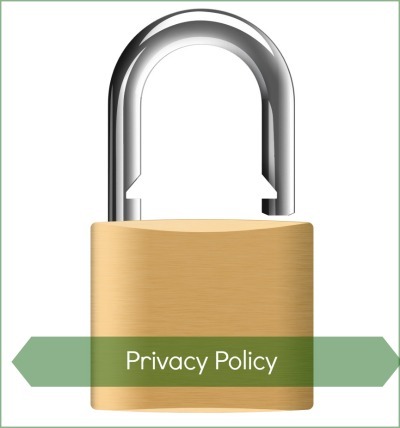 You should exercise caution and look for the privacy statement applicable to the website in question. Articles on this site may from time to time include embedded content (such as videos or images). Embedded content from other websites behaves in the exact same way as if the visitor has visited the other website. All of the posts on Always the Holidays use social share buttons so that you can share the post to Facebook, Twitter, Pinterest and other social media platforms. We do not require personal data for you to be able to use these share buttons, but you will need an account at the social site before you can share the content forward. Each social site is different in the data they collect on members. Be sure to read their privacy policies before using social media. We are committed to ensuring that your data is secure. In order to prevent unauthorized access to our site, we have put in place several physical, electronic and managerial procedures to safeguard and secure the information we collect from you online. Always the Holidays has a SSL certificate for your safe browsing. This page from Google explains how Google manages data in its ads products and also how you can control the information collected by Google. Always the Holidays is a participant in the Amazon Services LLC Associates Program, an affiliate advertising program designed to provide a means for sites to earn advertising fees by advertising and links to Amazon.com. As part of this Amazon Associates program, the Website will post customized links, provided by Amazon, to track the referrals to their website. This program utilizes cookies to track visits for the purposes of assigning commission on these sales. To find out more see Amazon’s GDPR center page. Your right to Opt-out – You may opt-out of future email communications by following the unsubscribe links in our emails. You may also notify us at cgspeake@gmail.com to be removed from our mailing list. Your right to Access – You may access the personal information we have about you by submitting a request to cgspeake@gmail.com. Your right to Amend – You may contact us at cgspeake@gmail.com to amend or update your personal information. Forget Me – In certain situations, you may request that we erase or forget your personal data. To do so, please submit a request to cgspeake@gmail.com. Please note that we may need to retain certain information for record keeping purposes, or when required by law. The Website does not knowingly collect any personally identifiable information from children under the age of 16. If a parent or guardian believes that the Website has personally identifiable information of a child under the age of 16 in its database, please contact us immediately at cgspeake@gmail.com and we will use our best efforts to promptly remove such information from our records.